I'm noticing a theme through all my recent travel guides - food. It's all about the food and Austin was no different. We landed in Austin with a list of 13 restaurants to try with only 2.5 days in the city... yeah, that math doesn't work unless I want to make up my own guinness record eating contest. Needless to say we ate ALL. THE. THINGS. and did some other fun stuff too while we were there. Keep scrolling to see our faves and a few tips about visiting! When we landed in Austin we made the last minute decision to rent a car which was honestly the best decision we could've made. There's no Ubers in Austin (I know, WTF?) and the cost of getting taxis is equal to or more than renting a car for a few days. 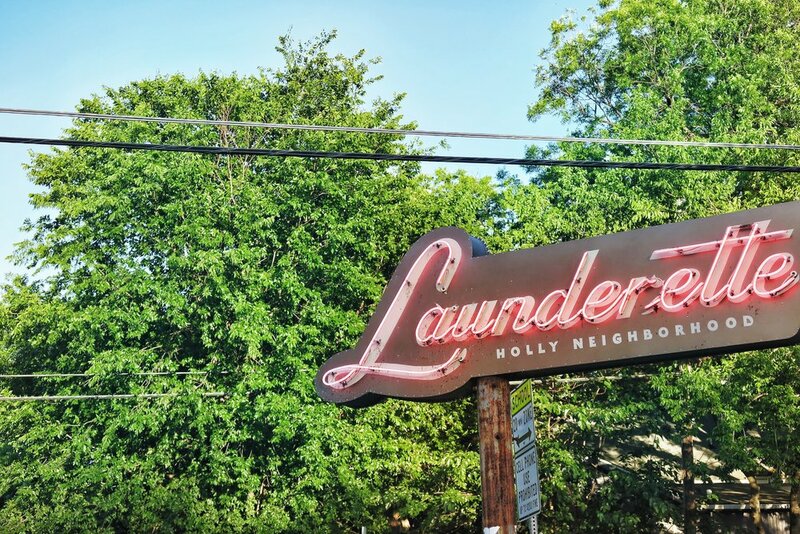 Launderette - incredible american/farm to table restaurant that used to be an old laundromat. Probably one of the best meals I've had since Tulum. The decor is cute AF which means every corner is instagrammable and it's situated in the middle of a residential neighborhood which offers a cool element. We went here for dinner on Sunday night after playing in South Congress all day. 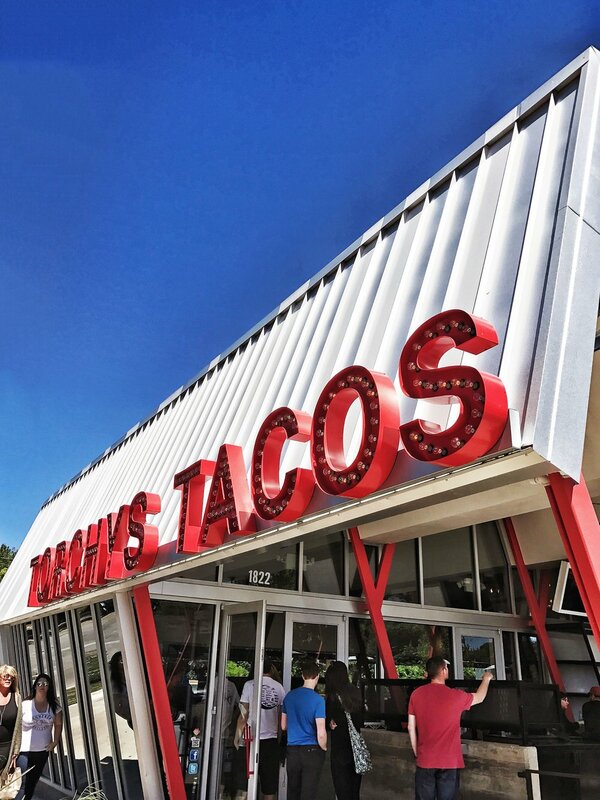 Torchy's Tacos - talk to ANYONE who's ever been to Austin and they mention having to hit up Torchy's Tacos. Here's the thing: the tacos were good, not amazing. I personally prefer Velvet Taco which is only available in Austin, Dallas, and Chicago. Café No Sé - it's connected to the South Congress hotel and is perfect for breakfast. Delicious poached egg dishes, avocado toast, and legit coffee! I had breakfast there twice because it was just that good. Plus the ambiance is great! Hotel San Jose - THE hotel in South Congress. 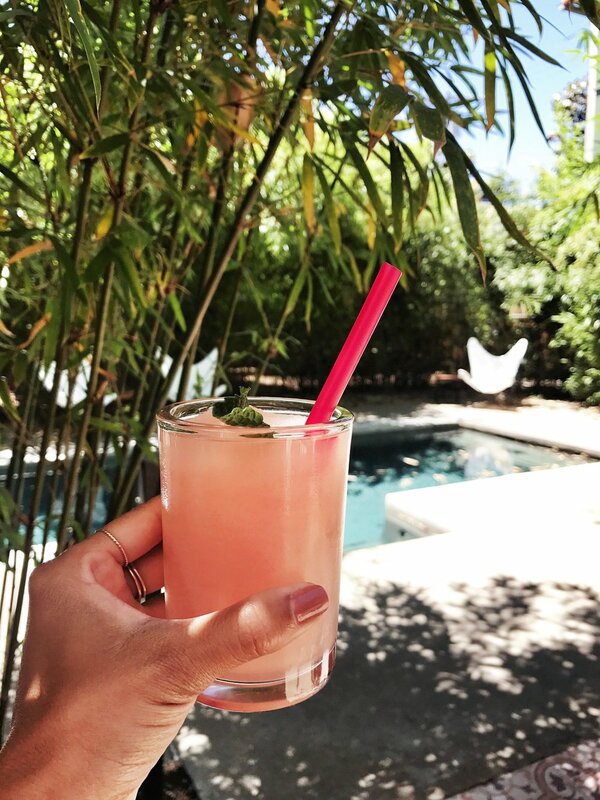 You can't go to Austin without trying to Frozen Rose at Hotel San Jose. Given the temperatures there, I can see why this drink is a hit. It's also pretty delicious and not too sweet. We looked into staying at the hotel but the prices were a little outrageous. Apparently the owner just re-did the Austin Motel nearby and from the outside that place looks SO cute (you can see a few shots in this post); definitely an option I may check out for future visits. Snarf's Sandwiches - after we ate our way through the city on Sunday, on Monday I was like "need a little break from indulgent food" so we grabbed some subway sammies from Snarf's and brought them to Barton Springs Pool for a little picnic. It was a great plan all around. Snarf's is pretty well known in Austin for having great sammies and they did not disappoint. 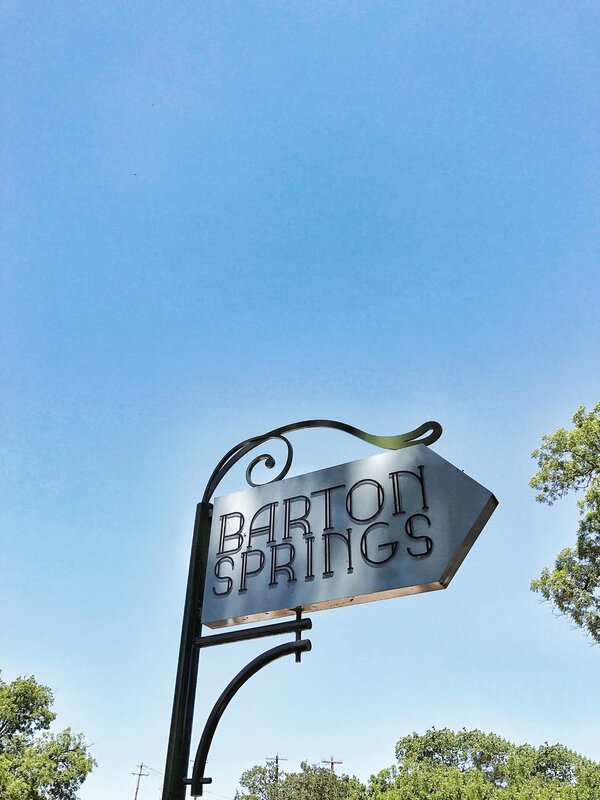 Barton Springs Pool - huge outdoor natural pool. Honestly, I've never seen anything like it. It's a must just to experience and a great way to veg out for a bit. Warning, the water is COLD. Juliet Ristorante - For our final meal in Austin we stopped into this stunning Italian restaurant. All of Austin's restaurants have incredible outdoor dining areas and Juliet was no different. The food is super indulgent and rich, so just know what you're getting yourself into. Umm.... I just booked a trip to HAITI sooooo that is happening. I feel like it's it's going be to the most epic travel guide yet! Let me know if you have any other Qs about Austin. And thanks to all who DM'd restaurant recs - still have about 7 more we need to try on our next visit.